On most weekends during the NHL off-season in hockey-mad Hastings, Minnesota, it’s not an unfamiliar scene to see one of the town’s most famous figures taking in the action, happily chatting with parents and kids, and signing several autographs. Even in a baseball hat, t-shirt, shorts and flip-flops, Derek Stepan, No. 21 for the New York Rangers, is an easily recognizable face in his hometown of Hastings, the place he heads to at the end of every NHL campaign, the same place that put him on the path to a big-league career. Closing in on 350 games into his NHL life, the 24-year-old hasn’t forgotten his formative years in hockey. While the stakes are far higher than they were during his minor hockey days, Stepan, who is averaging nearly a point per game in 2014-15 (he missed the first part of the season due to a leg injury), still has the same outlook he had as a kid. 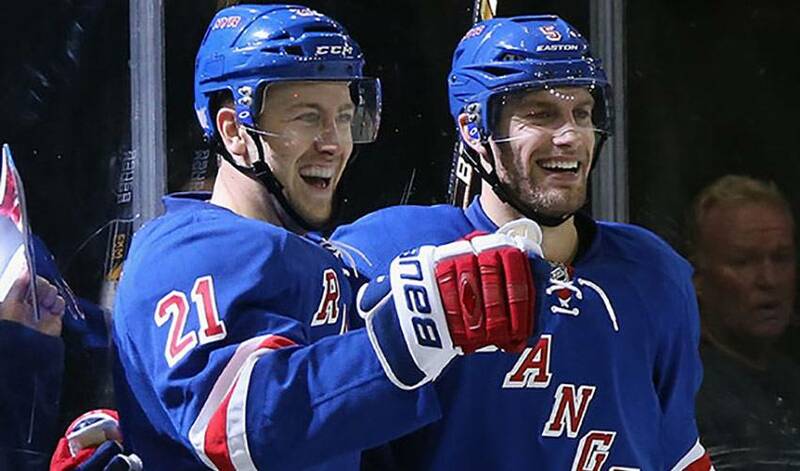 That approach has served Stepan well over his NHL career, one that started with 21 goal and 45 points in 2010-11. Selected 51st overall in 2008, the centreman certainly made sure his debut was one to remember, netting a hat trick against the Buffalo Sabres on October 9, 2010, becoming the first Blueshirt to achieve the feat, and just the fourth player in league history to do so. Earlier that year, Stepan captained the U.S. side that won the World Junior Championships, taking gold courtesy of a thrilling 6-5 overtime win over host Canada. He’s hoping the Rangers can take things one step further in 2014-15, after a campaign that saw them finish as Stanley Cup finalists. Stepan can count on plenty of backing from the Hastings faithful.